Acting Exercises for Non-Traditional Staging: Michael Chekhov Reimagined offers a new set of exercises for coaching actors when working on productions that are non-traditionally staged in arenas, thrusts, or alleys. 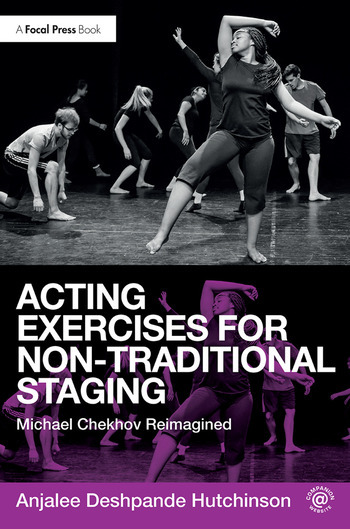 All of the exercises are adapted from Michael Chekhov's acting technique, but are reimagined in new and creative ways that offer innovative twists for the practitioner familiar with Chekhov, and easy accessibility for the practitioner new to Chekhov. Exploring the methodology through a modern day lens, these exercises are energizing additions to the classroom and essential tools for more a vibrant rehearsal and performance. What is Non-Traditional Staging and Performance? Why are Michael Chekhov exercises a good fit when preparing performances in non-traditional spaces? Anjalee Deshpande Hutchinson is an Associate Professor of Theatre & Dance and the Department Chair at Bucknell University. She is a National Michael Chekhov Association Certified Teacher.